Every time the gas prices rise, more people get interested in the most logical solution and buy motorcycles. Some choose wisely, others have watched a little to much TV or they’ve got a little to much “go fast” in their blood and they end up with the wrong motorcycle. It’s as hard for some to admit that the don’t need a 200mph racing motorcycle as it is for some to realize that they need more than a 50cc scooter to ride 50 miles to work. Choosing a motorcycle is very different than buying a car. I can buy a 200mph bike for $10,000, but that’s out of the question when buying a car and they don’t make a street legal 40mph car. So how do I choose the best motorcycle? If you can find a good dealer with salesmen that are passionate about motorcycling, they’re a good source of information. Usually these people are found at multi-brand stores. It’s advisable to watch out for large single brand stores with the obvious sales pitch. If their brand doesn’t make a bike that’s perfect for you, they’re going to use their sales skills to sell a motorcycles that they have. Test your dealer out by giving an accurate description of what you want, then start asking about a motorcycle does not even come close to fulfilling those requirements. If the salesperson goes along with it, pass on them. If this is your first bike, be very careful. 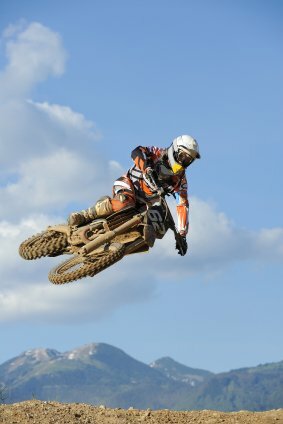 Even experienced riders buy motorcycles that they later regret. New riders need a lightweight motorcycle that allows them to place their feet on the ground. Some warn that large motors will get you in trouble, but the reality is that a mature rider with any moderate sized motor will do fine so long as the bike fits well and they can hold it up. Just about everyone drops the motorcycle at least once while learning, so crash guards that protect the motorcycle can save a significant amount of money. Experienced riders who already know what they want can improve their buying choices with research. When purchasing a new motorcycle, narrow your choice to 2 motorcycles. Ask the dealer to see a comparison in maintenance costs. They never have them available. This information is readily available on the manufacturer’s websites and in their manuals, but the salesmen are always stumped on this question. Then, play short on time and tell them you’ll call tomorrow to find out the answer. Take the time to really find out as the answer may surprise you. Some require $500 or more in service within the first 1000 miles just to stay in warranty! This also allows for time to consider the purchase. Don’t forget to call your insurance agent for comparison quotes too. Research and reality checks save money. Always take the time for both before buying a motorcycle.